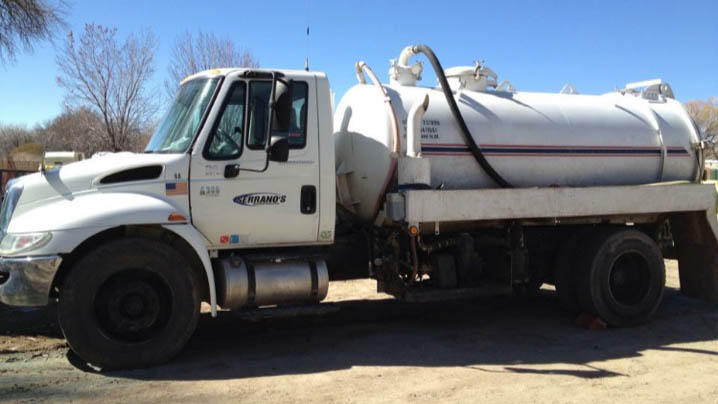 Septic Tanks, RVs, Holding Tanks, Grease Traps | Serrano's Inc.
Serrano’s Inc. will pump, empty, and clean your septic tank while disposing the waste at a proper facility. 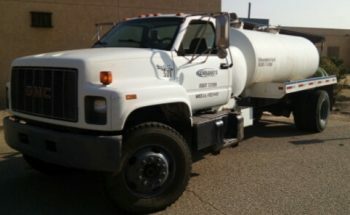 We also service RV septic, holding tanks. We can answer any septic questions you may have. With over 30 years in the sanitation business, our knowledgeable staff can assist you with any of your septic pumping concerns. Call us or request a free quote today. When you use the kitchen sink, fats, oils, and grease (known collectively as FOGs) all go down the kitchen drain. If they were to reach the city sewer system, the consequences could include extensive plumbing repairs and expensive fines levied against your business. Using a grease trap and having it pumped regularly by Serrano’s Inc. can help you avoid these problems. Usage can affect this formula. If you have a system that has had problems in the past, it might need to be pumped more often. Inorganic or inert solid materials and the byproducts of bacterial digestion sink to the bottom of the tank to form sludge. Organic solid material and paper products float to the top to form scum. These materials can plug the tank and overflow into the leaching system. The sludge needs to be pumped out on a regular schedule in order to maintain a healthy leaching system. We thoroughly clean each septic tank which includes pumping the tank completely and backwashing. This ensures the solids at the bottom of the tank are completely removed. We operate large capacity pump trucks with high capacity vacuum equipment. We are your residential and commercial septic tank professionals. Call Serrano’s to get the job done right with the upmost care and efficiency! We’d love to earn your business! 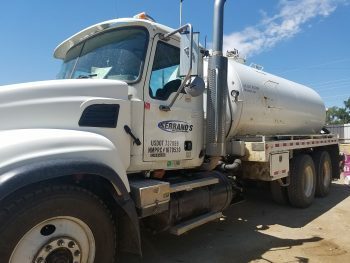 Serrano’s Inc. is a Certified Commercial Hauler by the NMED Environmental Health Department and we are Certified Septage Pumpers in accordance with NMED Environmental Health Bureau.